Tara Gum is a natural seed gum produced from the fruit of the Tara tree, Caesalpinia Spinosa, a shrub-like tree that is indigenous to Peru. Our Solgum is the result of a unique milling process of the endosperm of the Tara Seeds that are contained in the tannin-rich Tara pods. Solgum (Tara Gum) is a galactomannan with similar structure and functionality to locust bean and guar gums. Tara provides food processors with many advantages in a wide range of full, low and non-fat applications. Foreign Domestic Chemicals manufacturing facility in Lima, Peru produces Solgum in a GMP plant with an integrated BRC and HACCP system. We manufacture various mesh sizes in food and technical grades. Current applications for Solgum include frozen dairy desserts, cultured dairy products, fruits and variegates, functional foods and beverages, baked goods, condiments and sauces. 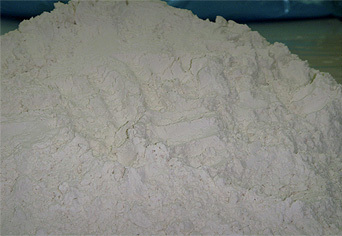 In frozen desserts and cultured products, Solgum offers unique fat mimetic qualities, imparts a “warm eating” texture and a smooth buttery mouthfeel with no flavor masking or guminess. Solgum provides cold-water solubility and viscosity and may allow usage levels up to 20 to 25 percent less than locust bean gum. And like locust bean gum, Solgum acts synergistically with kappa-carrageenan, xanthan gum and agar to increase gel strength and to reduce syneresis.